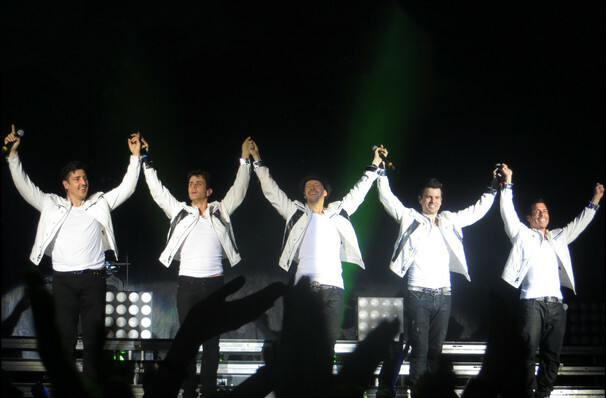 New Kids On The Block return with mammoth tour! Why See New Kids On The Block? In an era where boy bands, girl bands and bubblegum pop stars ruled the roost, new Kids On The Block were the first of the preteen sensations to hit multi-platinum. This year sees the late eighties, early nineties sensations hitting 53 cities on their mammoth Mixtape Tour where they'll be joined by 80s music stars Salt-N-Pepa, Tiffany, Debbie Gibson and Naughty by Nature. Expect to hear hits 'Hanging Tough', 'I'll Be Loving You (Forever)', and 'Step By Step', alongside them creating a mixtape at every tour location! The four supporting acts will also be playing hits from their catalogues. Released in 1988, 'Hangin' Tough' may be the album that jump started their career, but it actually wasn't NKOTB's first sonic foray into the industry. Whilst their self-titled debut achieved airplay success around their hometown of Boston, its heavily manufactured pop sound failed to gain traction nationally, so the boys returned to the studio with a new sound in mind and experimented with an urban contemporary feel, blended with pop rock. The resulting album had a slow start, but caught on like wildfire when its lead single 'Please Don't Go Girl' became the most requested song on radio stations across the nation's playlists. Sound good to you? Share this page on social media and let your friends know about New Kids On The Block at Bon Secours Wellness Arena. Please note: The term Bon Secours Wellness Arena and/or New Kids On The Block as well as all associated graphics, logos, and/or other trademarks, tradenames or copyrights are the property of the Bon Secours Wellness Arena and/or New Kids On The Block and are used herein for factual descriptive purposes only. 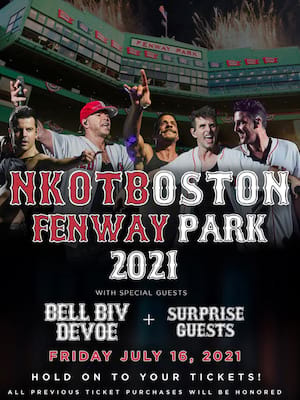 We are in no way associated with or authorized by the Bon Secours Wellness Arena and/or New Kids On The Block and neither that entity nor any of its affiliates have licensed or endorsed us to sell tickets, goods and or services in conjunction with their events.